Important news of a public inquirey into undercover policing. Public inquirey into 'undercover policing' - "must be truly transparent, robust and independent." Should cover police role in blacklisting too. Statement from COPS: We welcome the announcement of a full public inquiry into political undercover policing, but it must be truly transparent, robust and independent. It cannot be credible unless the Home Secretary and the Chair of the Inquiry, Lord Justice Pitchford, meet with those affected by the spying before drawing up the inquiry’s Terms of Reference, and they must act on their suggestions and concerns. Nor can it be parcelled off to particular units or cases. It cannot be merely limited to the Special Demonstration Squad or their era of 1968-2008. The most notorious officer, Mark Kennedy, did not work for the SDS and was spying later than that, and clearly the inquiry must cover him and his unit the National Public Order Intelligence Unit, as well as other allied political policing units such as National Extremism Tactical Co-ordination Unit and the National Domestic Extremism Team. The family justice campaigns, the women deceived into relationships by officers, the construction workers blacklisted with the help of police, the families whose dead children’s identities were stolen by officers as well as the campaign groups spied on must all have a voice. They need to be there both in the drawing up of the terms of reference and to be afforded proper representation at the inquiry itself. Nor should the inquiry ignore the ongoing issue of officers selling knowledge and experience acquired while undercover with these units to the private sector, and whose activities have caused ongoing upset and disruption to the lives of individuals being targeted. Partial justice is not justice. Attempts to uncover the truth in court cases and by journalists have been stymied by the police wilfully preventing justice by asserting a policy of ‘neither confirm nor deny’ when confronted with the wrongdoing of officers. The obstructive, at times farcical, tactic must have no place in the inquiry. The inquiry should happen without delay rather than waiting for completion of partisan, discredited police self-investigations such as Operation Herne. Former officers must be encouraged to come forward as whistleblowers and protected from prosecution under the Official Secrets Act. Senior police officers past and present, especially former Met Commissioners and Special Branch Commanders since 1968, must be held to account for any wrong doing attributed to the units under their command. Our branch sponsered the first meeting of this campaign which takes up issues such as blacklisting of union activists, undercover police forming 'relationships' with campaigners and the spying on the Lawrence family. 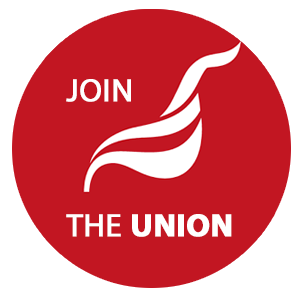 Unite now supprts the campaign regionally following our resolution.